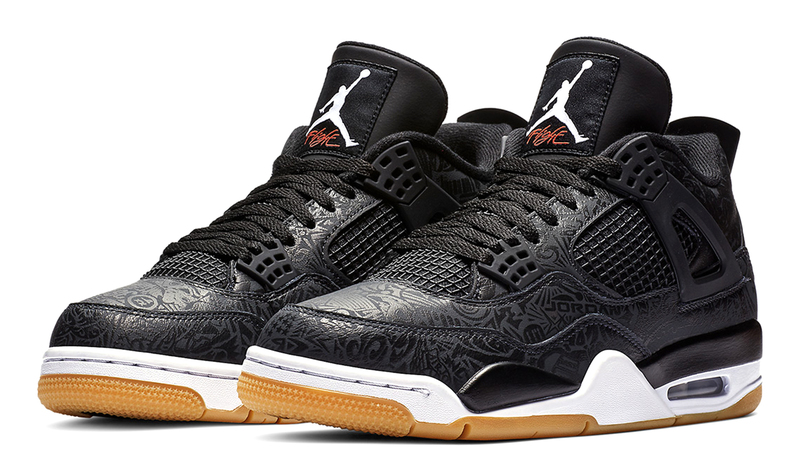 Celebrating 30-years on from the silhouette’s initial inception, the Air Jordan IV returns decorated in a ‘Black Laser’ motif. The fourth issue of Michael Jordan’s legendary signature series was initially released in February 1989 and was the franchise’s first global release. 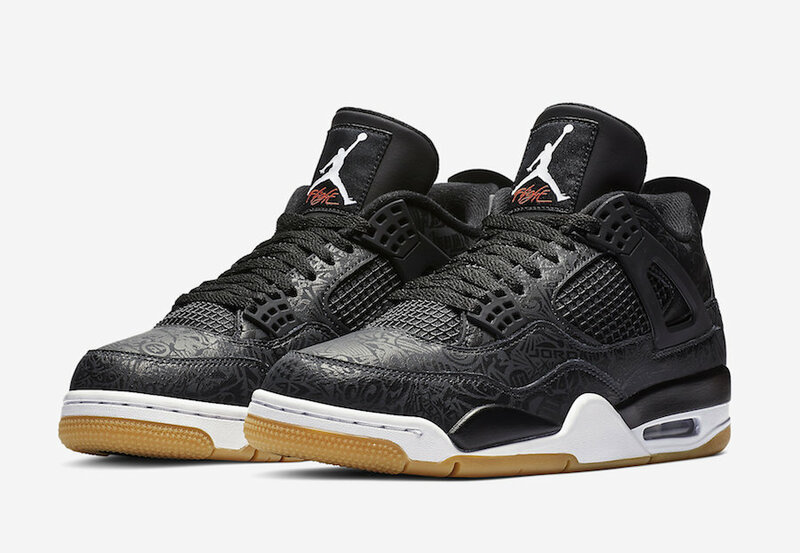 A premium performance shoe, the Jordan IV transcended basketball, garnering admiration globally for its groundbreaking design, alongside supreme comfort on and off the court. 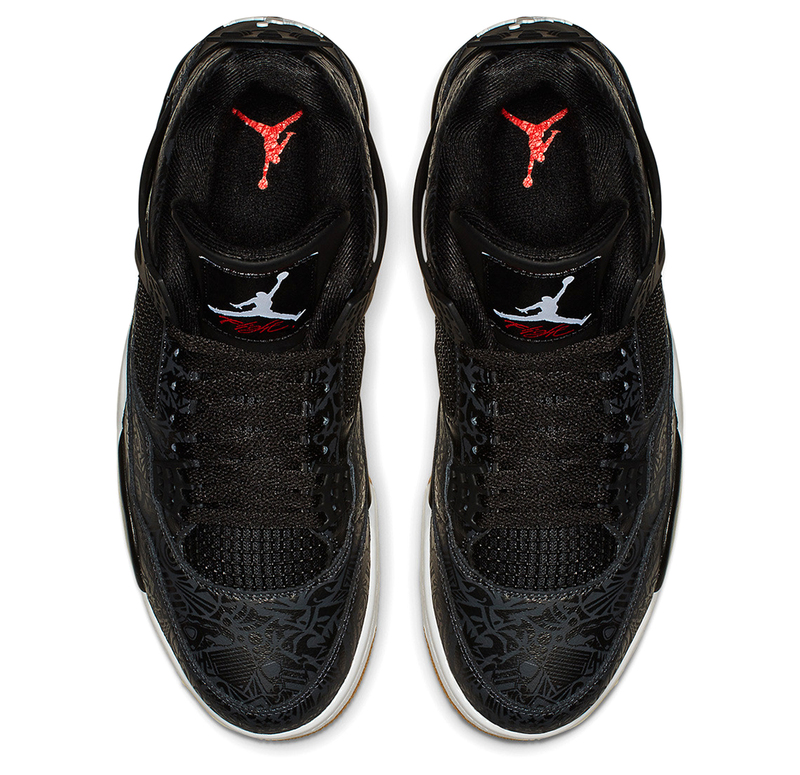 Sharing similar characteristics to the previous year’s third incarnation, the Air Jordan IV featured visible Air in the sole unit as well as a sculpted midsole. New additions included never-seen-before plastic coated mesh on the sides of the upper – designed to shed weight & increase breathability, alongside distinctive ‘winged’ side straps, which added support and allowed you to adjust the positioning of the laces. 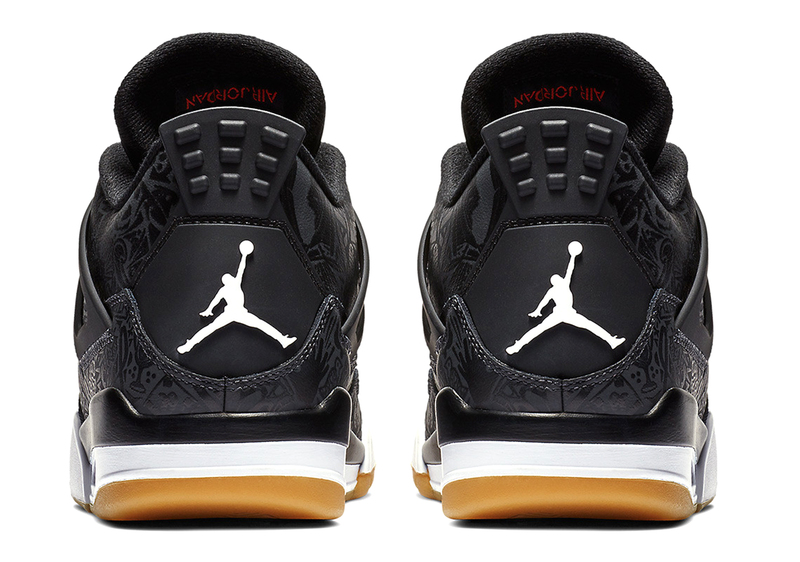 To help the brand’s global marketing spin, Tinker Hatfield decided to include the now famous ‘Flight’ logo on the tongue of the AJ IV, to give the impression you could jump like Mike. With each ‘Laser’ release in the past, Jordan Brand tells the story of Michael’s career through collaged icons and illustrations. For this rendition, the IV sits entirely in black, with a classic gum bottom placed underfoot, which is a feature rarely seen on this model. 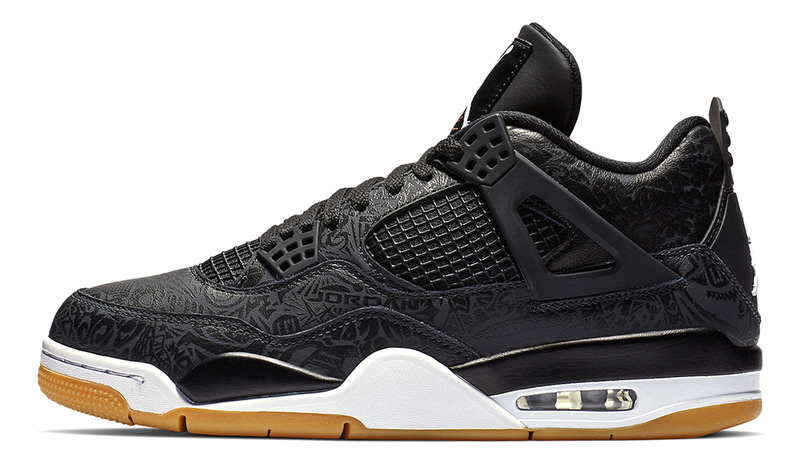 The Air Jordan IV ‘Black Laser’ will be available via the size? previews app, and in selected size? stores on Saturday 19th January, priced at £165.